Enter the panel, then "Webmin" => "Network Configuration" => "Network Interfaces"
Select "Interfaces Activated at Boot Time" and then select the interface "eth0" (depending on the operating system can be em0, fkp0, bge0, etc.). "Name" - Alias name of the network, for example: 1,2,3, etc. "Netmask" - It must always be 255.255.255.255. 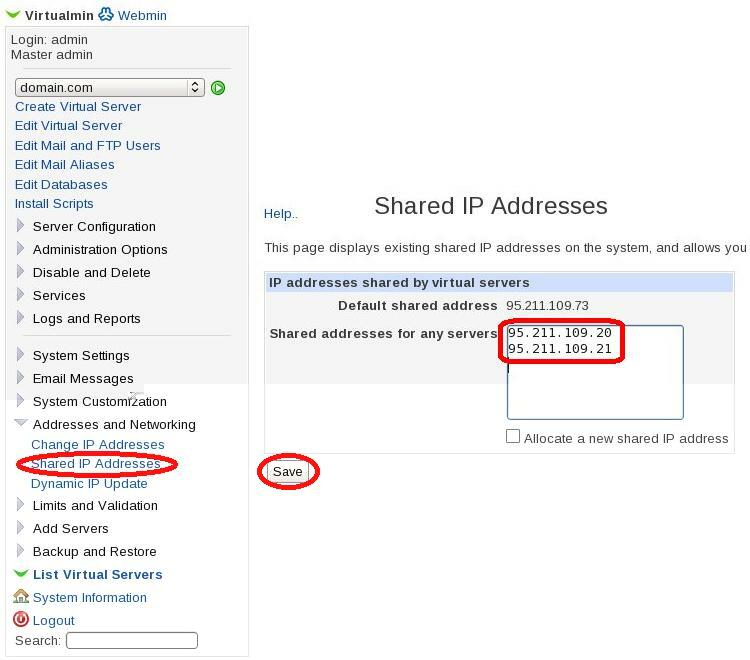 "IP adress" - IP address you want to add. "Broadcast" - It matches the IP address. And finally click "Create and Apply"
Go to the "Virtualmin" to insert "Addresses and Networking" in the field "Shared adresses for any servers", enter the IP address add and then click on the "Save" button. 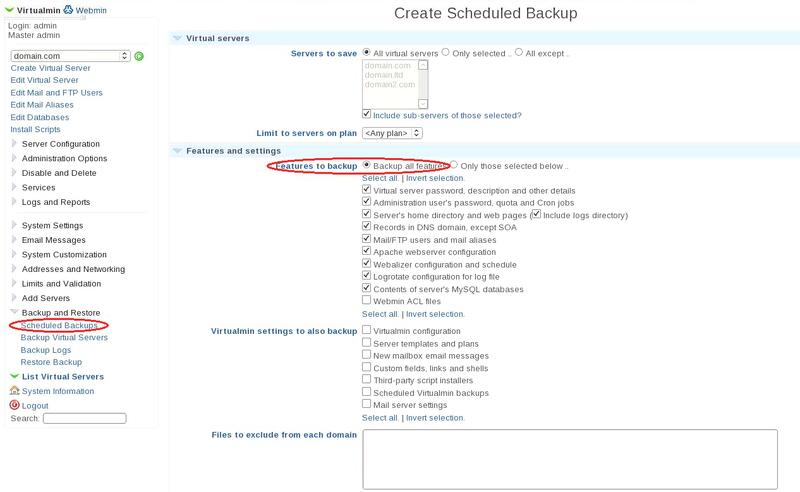 Settings backups to FTP-server (* NEW *).